UP100 is one projector with high cost performance developed by Whitesky aiming at multimedia market. It adopts DLP technology and can provide high definition images, high brightness and high contrast. It is small in structure and is easy to install. It supports front projection on the desk, hoisting and front projection, etc., which is very suitable for business, teaching, KTV, entertainment and other industry. HK7020-K50 is a high level 4K H.265 KTV platform designed by Whitesky in Aug. 2016, based on android OS. The platform is the most advanced KTV VOD in the world, and can deliver 4K video and dual HI-FI audios as well. Embedded architecture can ensure our customer to develop high security, professional and stable KTV system. 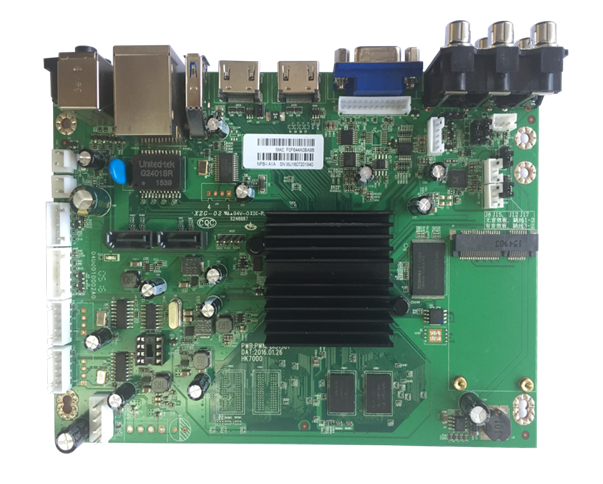 HK5010-K30 is a high level 4K H.265 Home KTV platform designed by Whitesky in Dec. 2016, based on Linux and android OS. The platform is the most advanced KTV VOD in the world, and can deliver 4K video and dual HI-FI audios as well. Embedded architecture can ensure our customer to develop high security, professional and stable KTV system. NHP-L is a high level KTV platform designed by Whitesky. Equipped with 1 x GbE LAN, 1 x HDMI1 4, 1 x VGA, 1 X CVBS, 3 X USB, Line in x 1, Line Out x 1 and 5 x COM (3.5mm interface), NHP-L is an ideal platform for KTV market. NHP-L is based on HiSilicon HI3719CV100 chipset and ARM Cortex A9 Dual core processor, which processing up to 7500DMIP. Integrate with Quad core GPU, it supports OpenGL ES 2 0 1 1 1 0 and OpenVG 1 1. It also supports H 264 MVC MPEG1 MPEG4 MPEG4 Divx AVS + Real VC-1 VP6 VP8 decoding and H.265 encoding. Powered by Realtek ALC5616, it supports 2-CH recording. HI3010 is a high level multimedia application platform designed by Whitesky. It comes with multiple I/O options includings one Ethernet port,one HDMI 1.4 port, one VGA port, one CVBS interface, four USB 2.0 ports (2 internal) and 4 serial ports (internal). Powered by Hisilicon HI3719CV100 chipset with dual core ARM Cortex A9 processor, processing up to 7500DMIPs. Integrated quad core GPU, HI3010 supports OpenGL ES 2 0 1 1 1 0 OpenVG 1 1. Also, It supports H 264 MVC MPEG1 MPEG4 MPEG4 Divx AVS + Real VC-1 VP6 VP8 decoding and H.265 encoding. AE9-01 is high performance sound effect board for KTV market designed by Whitesky in 2017，the sound effect board must work combining with Whitesky main board，graphical user interface is convenient for customer to control sound effect for MIC input and Music input individually，and the board can process mix audio signal. Combining with Whitesky main board，the development and usage for the whole KTV system will be more simple and efficient.